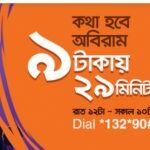 Banglalink 100% Cash Back Offer! 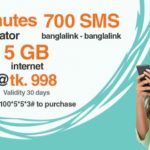 Banglalink all customers are eligible for Banglalink 100% Cash Back Offer with recharge a fix amount. The customers who search about Cash Back Offer. No tension, just read this full article to get all more update information about Banglalink 100% Cash Back Offer. Let’s start to do it. It’s time to begin recharging like crazy because banglalink is giving 100% cash back on your recharge! just dial *166*30# before recharging tk. 30 or more to get 100% cash back. The customers have to minimum 1p in their main account to avail this cash back offer. You are eligible to enjoy the offer if you’re a prepaid customers (except i-top up). If you enjoy this offer, just dial a USSD Code *166*30# before recharge TK 30 to get 1000% cash back. You must recharge Tk30 to get this offer. Customers can get a maximum of tk.100 cash back per day. Customers can use this money for on-net (excluding fnf & sfnf) calls only. This cash back amount customers can be used within 8:00am to 4:00pm. To check your cash back amount, customers need to dial a USSD Code *124*20#. Validity of cash back amount is 3 days. We hope all customers can know about Banglalink 100% Cash Back Offer. Have you any question about this offer, please comments the box. We will try best to solve your problem. Thanks to all customers for waste your valuable time with us and visit our site.